Credit card fraud has its origins right alongside credit cards. As long as there have been credit cards available popularly, there has been the desire to misuse them for unfair monetary gain. Credit card fraud refers to all such misuse, by which a credit card is used to fraudulently provide money for a transaction. Sometimes, this takes the simple version of using a credit card to pay for something which one cannot truly afford, thereby ensuring that the items in question were essentially stolen, as it is unlikely that payment will ever be made for those items. But it can take other forms, as well. Credit card fraud can be directly linked to identity theft, in situations where stolen credit cards are used to provide money. This is actually the most common form of credit card fraud, and the form against which most credit card fraud protection is oriented. Because of the advent of the Internet and online shopping, credit card fraud would seem to be more easily perpetrated than ever before. The primary, easiest method of committing credit card fraud is simply by stealing someone's credit card, and using it for illegal purchases. There are other methods, including using ill-gotten information, such as in an instance where a sales clerk might save sales receipts with credit card numbers on them, that he might later take advantage of the information; these are genuinely slightly more complex, and require the perpetrator to begin in a position of power. But now, as one enters credit card information into computers and websites regularly, in order to make purchases online, that information can be accessed from afar, by hackers and others who would simply tap into your information through the Internet. Yet, the Federal Trade Commission has reported that credit card fraud has actually decreased in its percentage of all identity theft crimes for the sixth year running. This could partly be due to the overall increase of identity theft crimes, but it could also be due to successful use of credit card fraud protection systems. Some credit card fraud protection schemes are simple systems on the cards to help increase the encryption and thereby prevent credit card fraud; the small security code on the backs of most modern credit and debit cards falls into this domain. 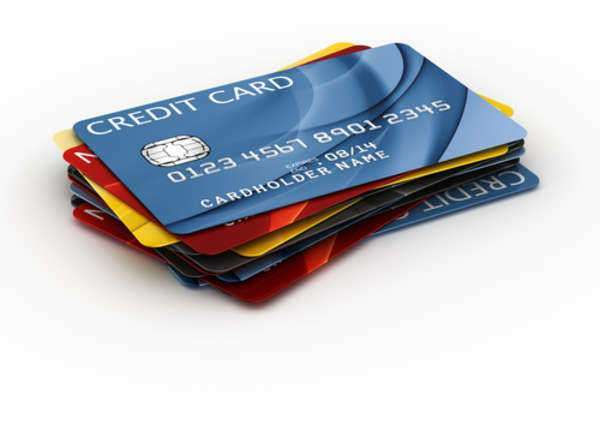 Credit card fraud protection also includes monitoring of your credit accounts by the credit card companies; if they see an unusual, sudden increase in activity, then they can get in touch with the card's owner to verify the transactions, and ensure that there is no credit card fraud going on. Though these credit card fraud protection measures would not prevent credit card fraud, there are also an increasing number of protective systems that will prevent credit card fraud from affecting the victim. In the United States, for instance, card holders can only be held liable for $50 of fraudulent charges made on a lost credit card, at most, and credit card companies are often willing to waive even this, in return for a signed confirmation from the card holder that the charges are, indeed, fraudulent. If the number is stolen, but the card is not lost, then victims are liable for $0 of the fraudulent charges. These credit card fraud protection measures do help to prevent the overall damage caused by credit card fraud, as too often the ones who pay most from such fraud are the individual card holding victims, and not the companies. Furthermore, credit card companies' ability to simply eliminate charges from the card helps to add a back-up layer of credit card fraud protection. The battle between those who would commit credit card fraud and those who would seek its prevention will likely continue on, however, as any protection system that could ensure absolute protection would also likely be unreasonably restrictive.